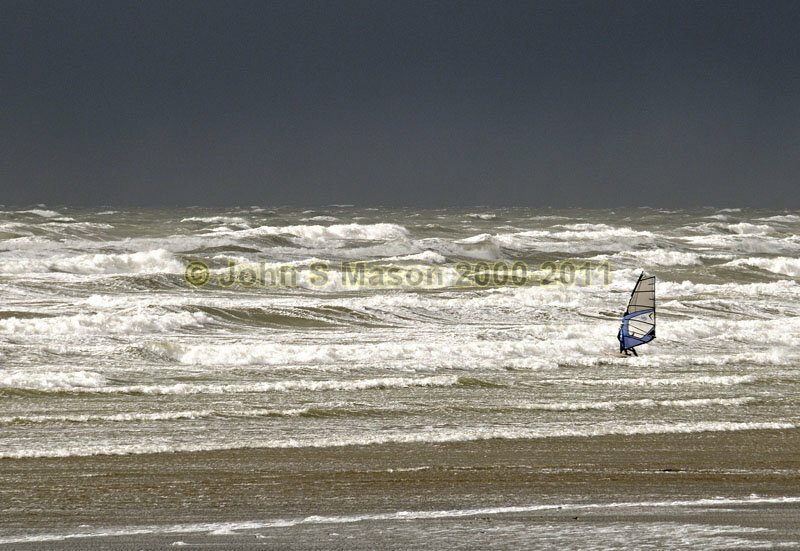 Windsurfing in fairly testing conditions as a dark squall approaches - Borth, March 2009. Product number 030926. Email me to enquire about this image: click HERE.